rece ived , may incur a charge as prov ided in your rate p lan . w ire less carr iers. siblings, and children) and household members of each such person are not eligible. ePrize, Inc., One ePrize Drive, Pleasant Ridge, MI 48069. April 30, 2013 and ends at 11:59 p.m. ET, June 30, 2013 (the “Promotion Period”). Administrator’s computer is the official time-keeping device for this Promotion. 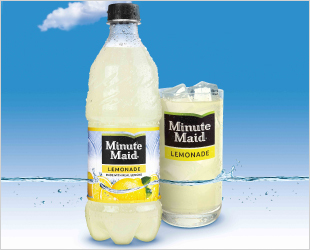 messages related to the Minute Maid® Lemonade Summer Sweepstakes.